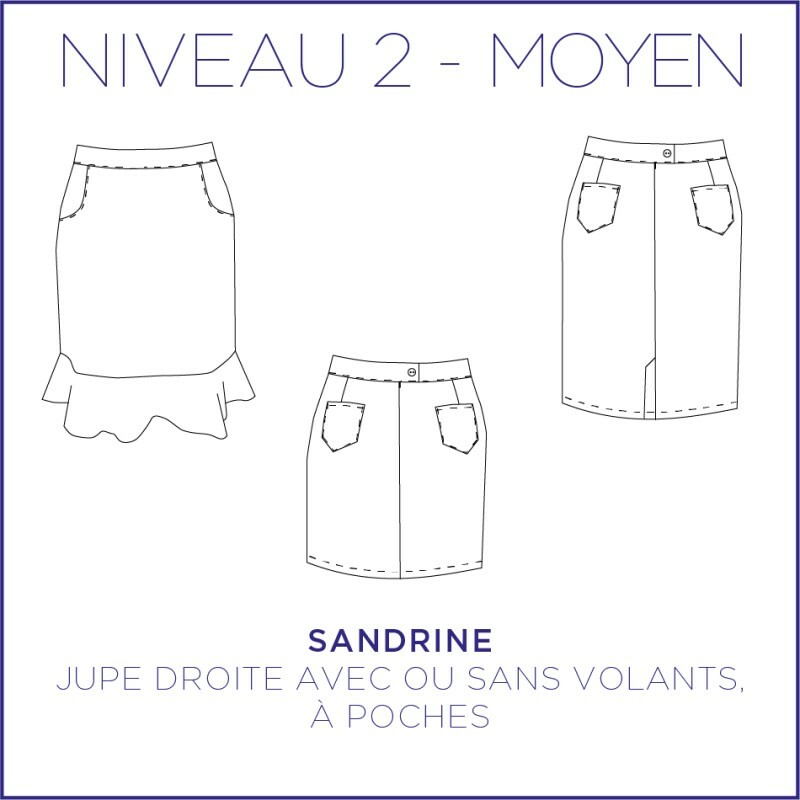 Sandrine is the skirt to have in her wardrobe. It is available in any season so mini, standard or ruffle to you to appropriate it! The skirt is available in 3 versions mini (length 42 cm), standard (length 47 cm) or ruffles. It has a fitted belt and a pocket detail. This skirt can be worn in summer and in winter. Play with the stripes for the flounces. This skirt can be declined at will! The only difficulty lies in the assembly of the invisible closure. You can go see the video tutorial on YouTube. Here most of the versions are from Sacrés Coupons. The version in a animal skin is from Telaio. Anne d. On 2018-10-22 Jupe réalisée dans magnifique jacquard, montage facile et rapide, les poches tombent très bien.